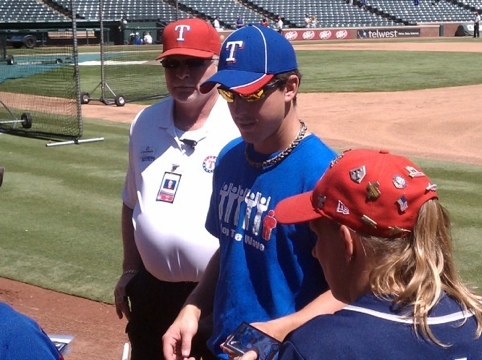 Check out the shirt Derek Holland was wearing during pre-game warmups Saturday afternoon. Thanks to @leahjohnson79 for the picture. Of course if everyone taking their kids to a baseball game would follow Ian’s advice, this wouldn’t be a problem to begin with. 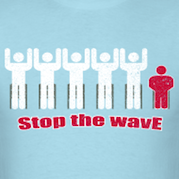 Visit the Stop The Wave Shop to get your Stop The Wave shirt in a variety of team colors!